Strong earthquake hits South Pacific on "Ring of Fire"
WELLINGTON, New Zealand -- A powerful earthquake that struck in the southern Pacific Ocean on Wednesday sent jitters around the region after authorities warned of possible tsunamis, but there were no initial reports of destructive waves or major damage. The magnitude 7.5 quake hit in the afternoon near New Caledonia at a shallow depth, where earthquakes are generally more damaging. It was felt as far away as Vanuatu. 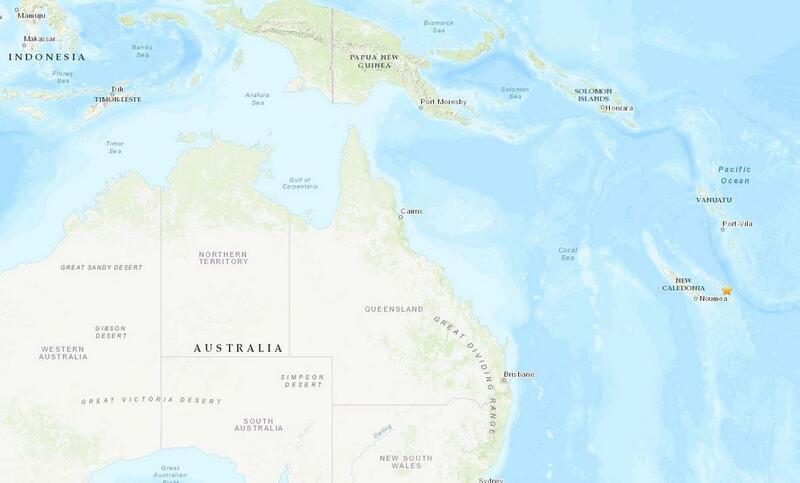 The Pacific Tsunami Warning Center said tsunami waves of between 3 and 10 feet were possible along some coasts of New Caledonia and Vanuatu before later lifting the warning. Judith Rostain, a freelance journalist based in New Caledonia's capital Noumea, said there was no damage to the city and that the threat of a tsunami appeared to have passed. She said the situation remained unclear on the east coast and scattered outer islands. In Vanuatu, Dan McGarry said he heard only of three small wave surges hitting the southern island of Aneityum. McGarry, the media director at the Vanuatu Daily Post, said the waves traveled only 7 feet beyond the normal tidal waves, and that everybody was fine on the island. McGarry said he felt the quake where he is based in Vanuatu's capital, Port Vila, as a mild shaking. "We get a lot of earthquakes every year," he said. "The tsunami warning was what was different this time, though." The warning center said there was no tsunami threat to Hawaii. It said waves of up to 3 feet were possible in Fiji. According to the U.S. Geological Survey, the quake struck about 104 miles east of Tadine in New Caledonia at a shallow depth of 6 miles. At least five aftershocks also hit, ranging in magnitude from 5.6 to 6.6. The 6.6 was also six miles down. The populations of Vanuatu and New Caledonia are similar, with just over 280,000 people living in each archipelago. Last month, voters in New Caledonia elected to remain a territory of France rather than becoming independent. Both New Caledonia and Vanuatu sit on the Pacific "Ring of Fire," the arc of seismic faults around the Pacific Ocean where most of the world's earthquakes and volcanic activity occur.